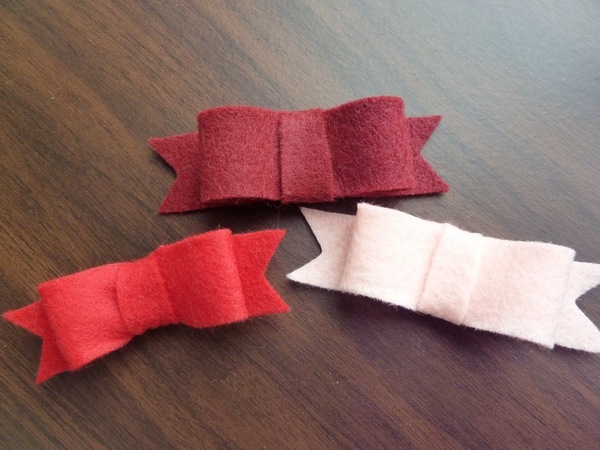 I learned to make them with this tutorial, though I switched up the measurements a bit for my own. 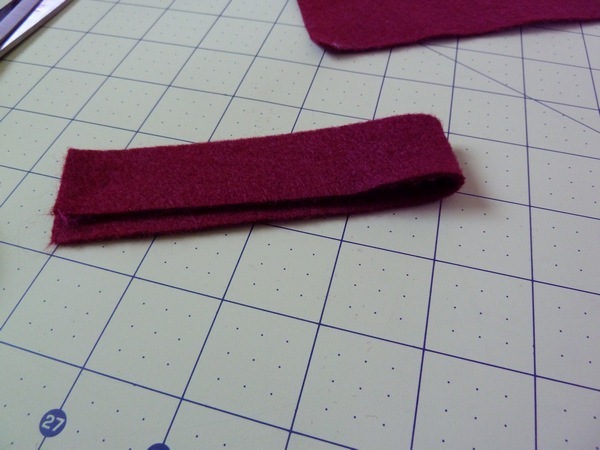 First, a strip of felt. 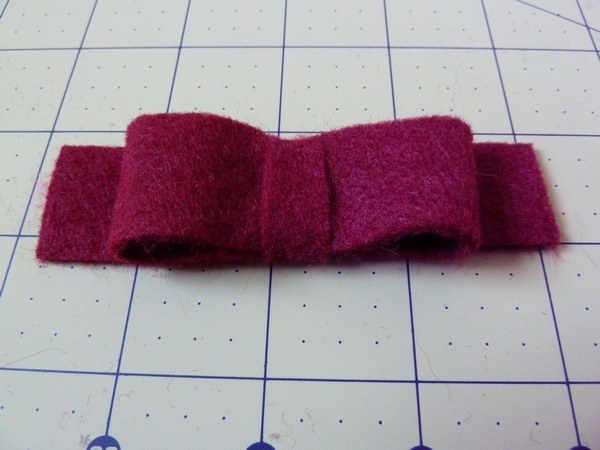 I used cheap craft felt, in a 9" x 1" strip. 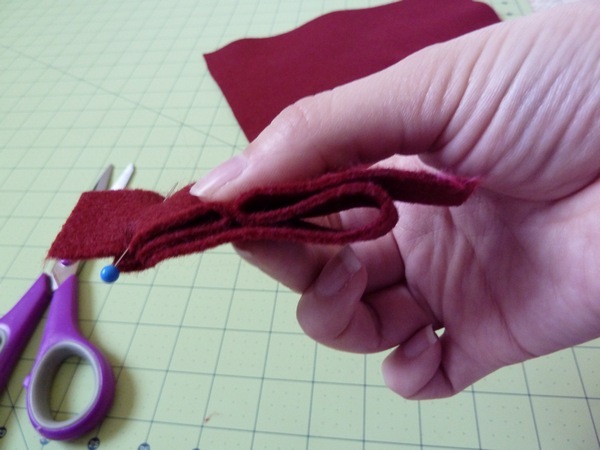 Next, find the middle of your strip, and then fold it back onto itself into a sandwich. It's important to keep both sides as even as possible! 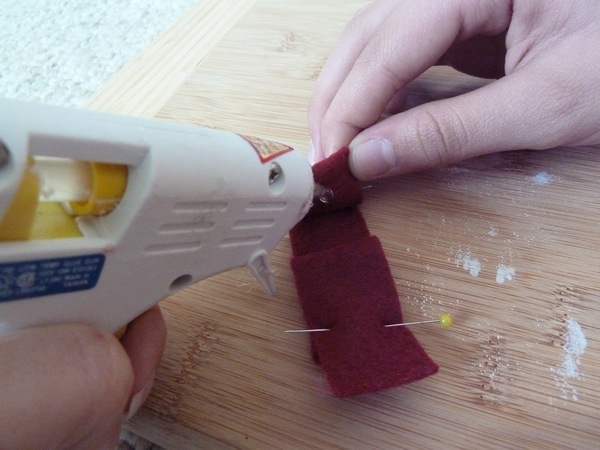 Pin down the edges once you even everything out. 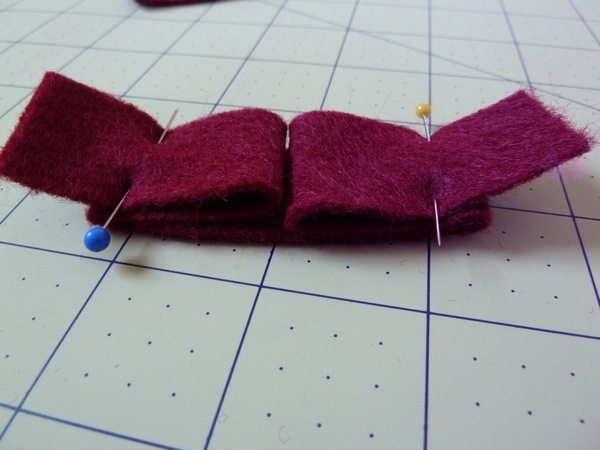 Now, place a dot of glue on each flap and press it down into the middle. 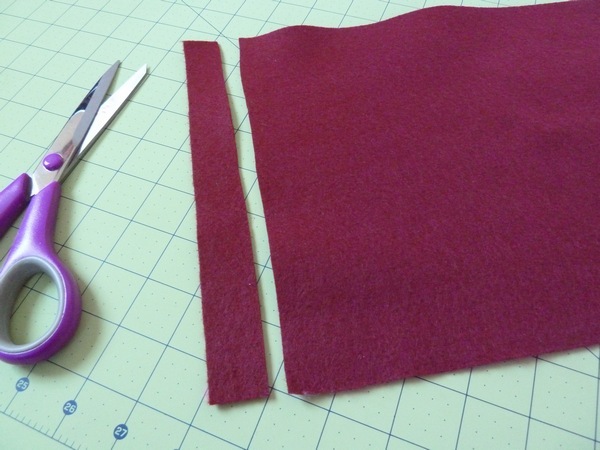 Once the middle is glued in place, cut a small 1/2" strip of felt and place it underneath the middle. 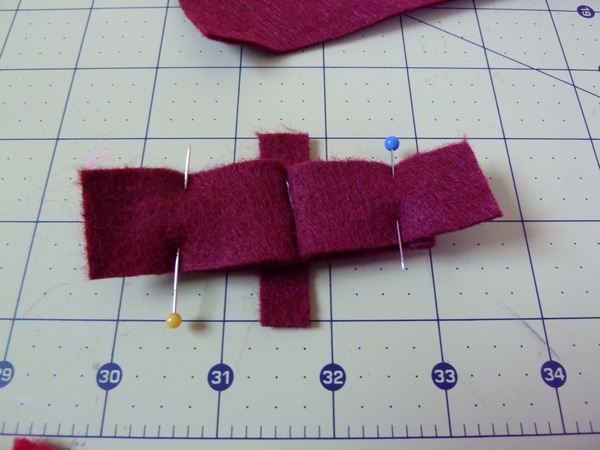 Glue each side of the 1/2" strip to the center of the main strip. This will create the middle of the bow! 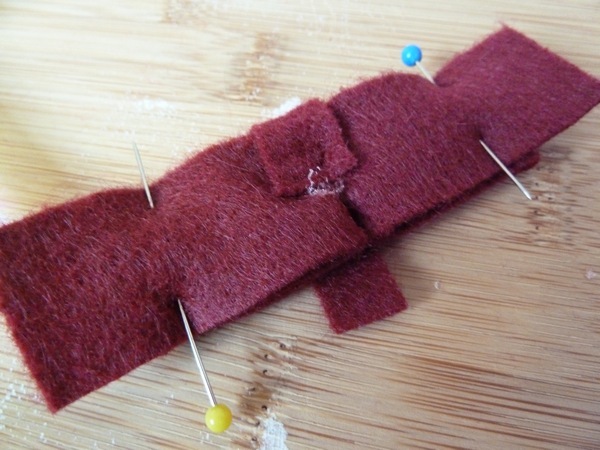 With everything glued down, you can remove the pins. Cute! 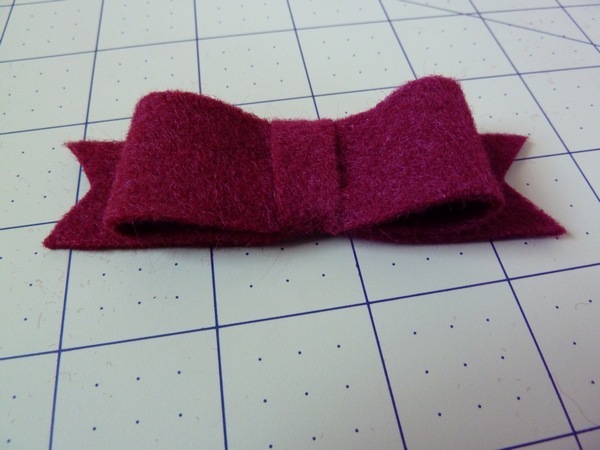 But it's even cuter if you cut little notches to the ends of the bow. 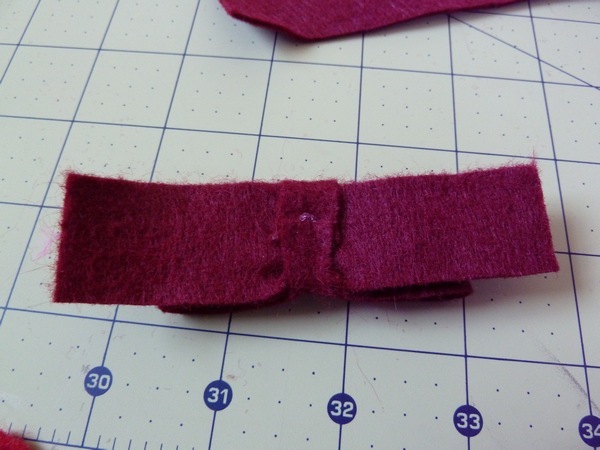 Lastly, I hand-sewed (rather horribly, I might add - sewing through glue is tough!) 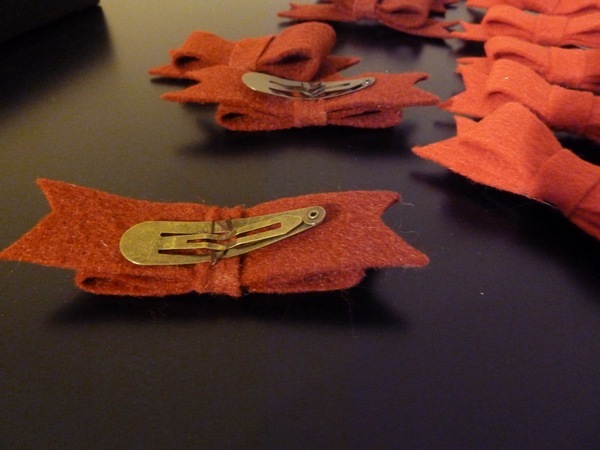 a snap hair clip to the back. these are so cute! i wonder if the pugs would like it, hehe. Received mine yesterday. Adorable!! Thanks! LOVE it!!! Mine just came in the mail and brightened up my day! Bummer some of the cards didnt make it by the 14th! :( but at least they arrived eventually! Those clips are so cute! 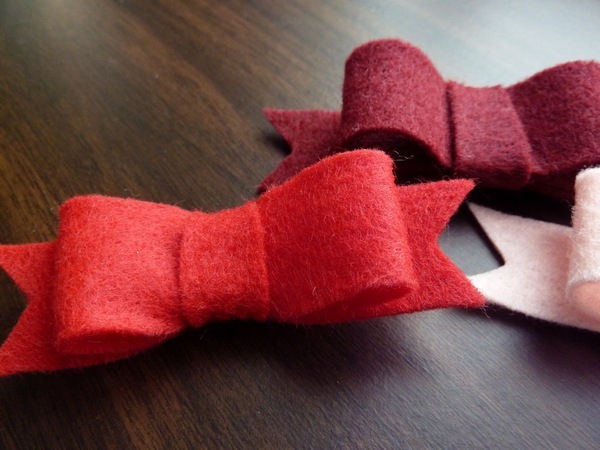 I love the bows, and the notches do make them a lot cuter!